The annual Santa's Magical Kingdom is on it's way back around to Melbourne! Will you be there? We will be and we are hooking one lucky family up with a pass to head to SMK also, continue reading down further for more details on how you can score a family pass on us! Featuring much-loved favorite activities and many new additions, Santa’s Magical Kingdom will once again capture the hearts of kids and their families as they join Santa, Mrs Claus and Rudolph in sharing the magical Christmas spirit. 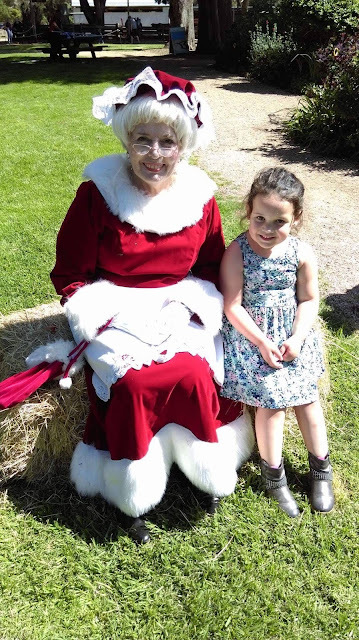 Special thanks to Santa's Magical Kingdom for inviting us down to Churchill Heritage Farm to spend an afternoon with Mrs. Clause to preview what will happen at Santa's Magical Kingdom this year. As you can see above little Miss Niah was all smiles and super excited to be seeing Mrs. Clause in advance. A giant Pirate Ship with Captain Cook, Tinkerbell and Peter Pan on board. Embark for fun craft activities in a land of make believe. A new Candy Academy where kids can decorate and then nibble at their Gingerbread Men. o Mrs Claus has renovated her village home where her young visitors who can write a letter to Santa and watch movies on a giant screen. Snowland this year will be visited by the Snow Fairy who will scatter her magical fairy dust on all the kids who visit her. Meet this year’s Santa’s Magical Kingdom Ambassadors Poppy and Branch, the fun-loving Trolls who will pose with the kids under the giant Christmas tree for photos. Minions, Minions and more Minions will be invited to celebrate Rudolph’s birthday with him on various days throughout the festive Kingdom’s season. The Christmas Spectacular Show will this year have you spellbound as all the stars of Christmas come out to play with the audience. And of course...what would a Christmas celebration be without lots and lots of rides! Amusement rides and games include Santa’s Sleigh Ride, the Giant Ferris Wheel, one of Australia’s largest Super Slides, Space Ride, Cup Ride and the Elves’ Magical Train Ride. Open to the public from 18 November to 23 December and located at Caulfield Racecourse. 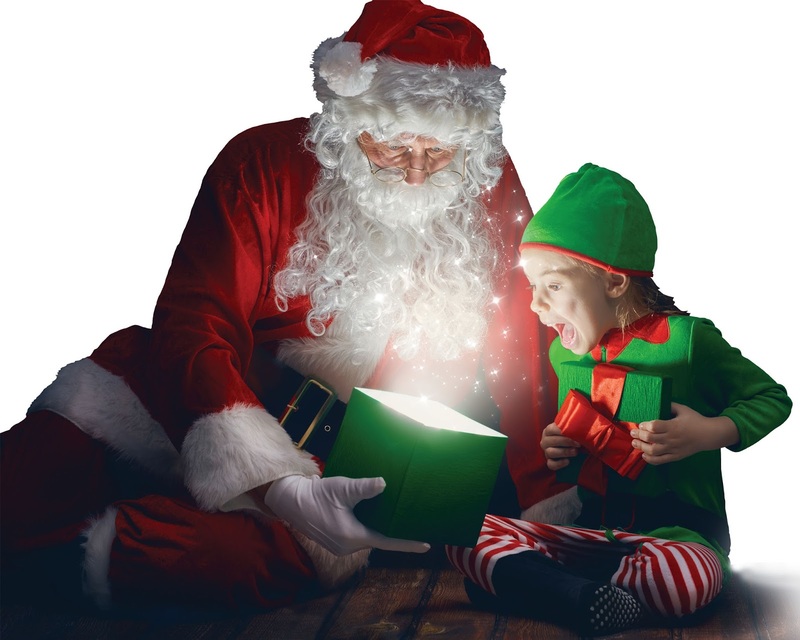 Santa’s Magical Kingdom delivers a Christmas wonderland full of activities that will capture the imagination of children and parents everywhere. Be amazed as you see the magic of Christmas come to life! Purchase your tickets from Santa's Magical Kingdom via Ticketmaster. Tickets start from $35 - very much worth it as all activities are included in the ticketing price but the sideshow attraction games, Santa photos, novelty items and food. One lucky family will be able to go along to Santa's Magical Kingdom on us! Courtesy of Santa's Magical Kingdom who have gifted this to us to giveaway. Family pass is valid for 2 adults and 2 children. Valued at $142.68. Pass is for Saturday 18th November session from 2pm - 5pm. Simply comment below as to what your favorite thing about Christmas is as well as head to our Facebook or Instagram page and tag x3 friends who you think should enter as well. Giveaway ends: Saturday 11th November, 2017 at midnight. Winners drawn: Sunday 12th November, 2017. Winner will be contacted via email and have 24hrs to contact back with their postal address otherwise redraw will occur. Session cannot be changed and you must be able to attend this session only. Disclosure: This post has been made in collaboration with Santa's Magical Kingdom. I was invited along to the above mentioned event and provided with a giveaway pass and to run through the blog. I received no payment for this feature and all opinions expressed in this post are entirely my own. Christmas Trees: There is nothing more exciting the going to pick out a tree and gathering around with people you love to add all the lights and ornaments. It brightens up anyone’s day. Renata M.
The Problem we are Facing right now is that there are so many fake Hackers here online who are claiming what they are not, just to eat innocent people's money and Run away, But its only the SMART People that would be able to distinguish between these enormous Fake Hackers and the Few LEGIT HACKERS. I could remember there was a time i started hacking their emails and shutting it down, but at a point i observed that these scam hackers are enormous, how many of them am i gonna hack? I had to Leave them and Face my Job. I love going in to the city and looking at the myer windows and then on the way home looking at the houses done up with all the Christmas decorations. For me, it has to be playing the role of Santa to my children. From carefully selecting their gifts (and hiding them), to leaving them a note on Christmas Eve alongside their gifts, even drinking the milk and eating the cookies!, it is something that I love to do for my kids. Being able to bring them some magic in their life is a very beautiful thing and I will always cherish the look of delight on their faces every Christmas. Thank you for the opportunity to win this amazing giveaway Nikita! What's not to love about Christmas! It's the most magical time of the year! I love decorating the house while listening to Christmas music, baking up a storm with too many delicious recipe's to choose from, finding something special to go under the tree for loved ones, sharing lots of laughs and finally catching up with friends and family after another busy year. But most of all, at the end of the season I love creating a photobook jam-packed full of happy, magical memories that my gorgeous children have enjoyed over the month. Nothing adds a sparkle to their eyes like the magic of Christmas! You have been choosen as our family pass giveaway! 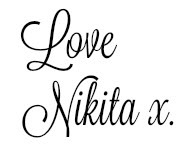 Please email me on nikitajtasi@gmail.com with your best postal address. Congratulations Sarah! I have seen your name announced twice now, maybe you should buy a lotto ticket! My favourite thing is the magic! That full of love feeling you get watching the kids faces light up, its such a special magical time of year! I love all the time we get to spend enjoying the company of our family and friends. My favourite thing about Christmas is the craziness of it!! I love that you have so many plans to work around and so many presents to buy, because it reminds you of just how many loved ones you have in your life. Life gets so busy throughout the year that it is so difficult to make time to catch up with friends and family regularly, so I love that no matter how busy you are at Christmas time, you always find the time to catch up and create happy memories. And even though my husband is a workaholic, I absolutely love that we find time to do Christmas activities with just the 4 of us - something that my children will always treasure!! Since my Dad passed I haven't liked Christmas, but this year watching my 5.5yo nephew opening presents will help bring happiness back into our family home. Winning this prize would truly be a gift and would help bring the Christmas spirit back for us. My favourite thing about christmas it is the one time of year you can get all the family together to catchup over good food and wine and see the sheer happiness of the kids faces when they awake to see what Santa has brought them. My family favorite thing about Christmas is being together with family and friends and also going to watch the Christmas lights around Melbourne and going to Christmas carols .